It’s great to be in touch with you all again, and just in time to give You an Exclusive Holiday Special for a Healthy Mind, Body & Spirit! As you know, I am a Director of Health at www.WholesomeOne.com, a Unique Natural Health website whose mission is to help people find natural ways to heal from pain and illness. They carry numerous trusted brands of supplements, oils, herbs, homeopathy, yoga, massage, meditation, and other natural health remedies. In addition to wonderful Natural Products, www.WholesomeOne.com offers a Free Consultation with a Natural Health Expert with each product purchase and also provides a wealth of information in articles and videos on scores of health conditions from Celiac disease to Arthritis. So, don’t miss your chance to receive an Extra Exclusive Goodie- a 30% off Natural Health Product Coupon, coming to you special from Veda Health! Take advantage of this amazing healing website and generous discount by November 30th, 2015, before time runs out. I’m so excited for you to visit www.WholesomeONe.com and find wonderful healing information and products for your mind, body and spirit today! 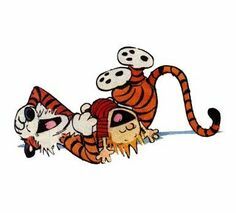 Laughing is one of life’s greatest joys! But did you know that laughing helps reduce stress and boost immunity? A Midwestern study of 33 healthy adult women who watched humorous videos and then had their non-specific immune cells tested, showed an increase in the activation of Natural Killer (NK) cells. NK cell activity is critical for fighting off many diseases. Women also had their mirthful laughter measured by the Humor Response Scale and showed a statistically significant reduction in stress and those who scored greater than 25 on the humor response scale had increased immune function postintervention. SO, since LAUGHING is so Great for you, WHAT DO YOU LAUGH ABOUT? www.Wholesomeone.com and we need you! Our esteemed leader, Kevin Burke, has recently entered WholesomeOne into a grant competition. We’re just short of 250 votes needed to advance to the next round & would love your help getting there! Please take 30sec today to click the WholesomeOneLink and vote Yes for WholesomeOne! And then Check out www.WholesomeOne.com for amazing articles, references, providers and products for Holistic Natural Remedies to numerous conditions like Seasonal Allergies, Fibromyalgia, Crohn’s & Digestion, Asthma, Insomnia & Many more. We can’ THANK YOU enough for YOUR SUPPORT! My Wholesome 1 Exercise for Fibromyalgia Video! If you suffer from aches, pain and soreness or have been diagnosed with fibromyalgia, you might wonder if you can ever exercise again? Well, the answer is YES! Fibromyalgia sufferers can actually benefit from slow, controlled physical activity and moderate exercise. Check out my informative video for some great ideas and options for fitness while living with Fibromyalgia.